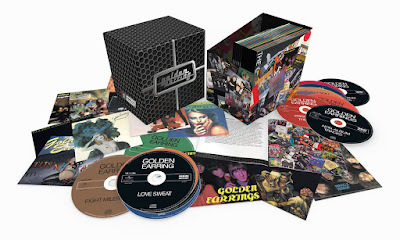 Discussions Magazine Music Blog: GOLDEN EARRING - Complete Studio Recordings: Behold the 29 CD box set! 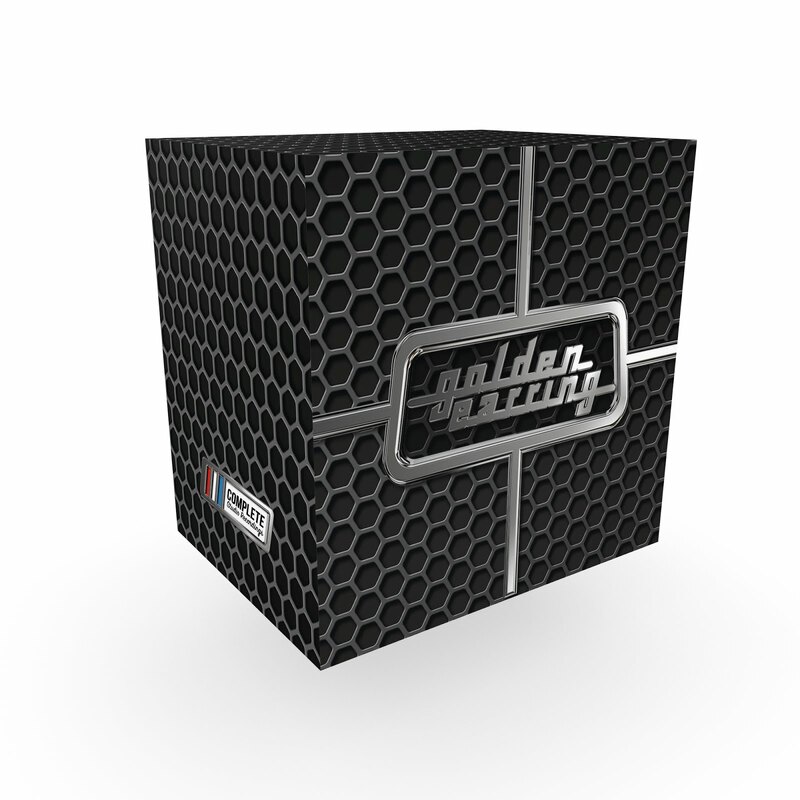 GOLDEN EARRING - Complete Studio Recordings: Behold the 29 CD box set! Rinus Gerritsen and the little bit younger George Kooymans as kids live in the same area of The Hague and in 1961 decide to start a band. The two inspired musicians take on three band members and soon are ready to conquer the world as The Golden Earrings. In 1965 they get their first record deal with the prestigious Polydor label and soon after that their debut album Just Ear-rings is released containing the first hit single Please Go. In the ‘60s they continue to score many hits and in doing so lead the way for all Dutch Beat bands that follow. The Earring has some line-up changes in their first years, but when Cesar Zuiderwijk joins Barry Hay, George Kooymans and Rinus Gerritsen in 1970, finally the line-up is perfected: this formation rocks harder than ever before and it won’t take long before they travel around the world with their monster hit Radar Love. Throughout the years Golden Earring released no less than 26 studio albums. Next to that, dozens of songs were released but not on official albums including classics like That Day, Sound Of The Screaming Day, Another 45 Miles, Holy Holy Life and hard to find songs, like So You Want To Be A Rock’n’Roll Star / L.A. Woman and You Gun My Love. In total no less than 307 songs, that for the first time are compiled in this box set Complete Studio Recordings, including extended liner notes per album by respected music journalist Tjerk Lammers. So turn the volume up to 11 and hear how a little beat band from The Hague turned into the biggest and best Dutch rock band ever!